Grove Lodge in Goldsithney sleeps 4 people. 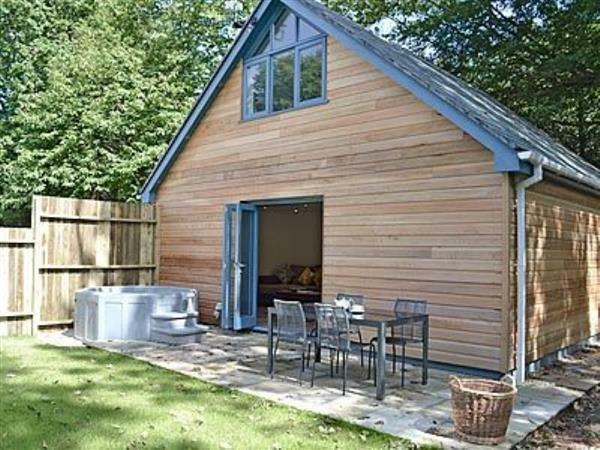 Grove Lodge is a detached, lodge style property located in a tranquil private lane. The lodge is perfect for exploring west and south Cornwall with many secluded coves and beaches near by, including Prussia Cove, Perranuthnoe, the beach at Praa Sands and Porthleven, with its bars and café’s overlooking the harbour. Marazion is the gateway to the enchanting St Michaels Mount rising from the sea. Just a short distance to Penzance with the harbour and marina, walk along the promenade with open air Lido and continue on to the busy quaint fishing harbour at Newlyn. Shop and pub 1 mile. Ground floor: Living/dining room/kitchen with wooden floor. Bathroom with shower over bath and toilet. First floor: 2 bedrooms: 1 double, 1 twin. Woodburner in living room (initial fuel included). Electric heaters, electric, bed linen and towels included. Travel cot and high-chair on request. DVD. CD. Electric cooker. Microwave. Washing machine. Tumble dryer. Dish washer. Fridge/Freezer. Wi-Fi. Enclosed garden with patio, sitting-out area and furniture. Parking (2 cars). Hot tub. Welcome pack. Pet free of charge. No smoking. Holidays at Grove Lodge run from Saturday to Saturday. For a better idea of where Grove Lodge is, you can see Grove Lodge on the map below. Grove Lodge is in Cornwall; should you be on the lookout for a special offer, you can find all the special offers in Cornwall. It's always worth checking to see what is on offer at the moment. Do you want to holiday near Grove Lodge (27847), you can see other cottages within 25 miles of Grove Lodge; have a look to find your perfect holiday location.